We work with local communities to reactivate the arts, crafts and cultures of Chitpur through innovative projects and initiatives. 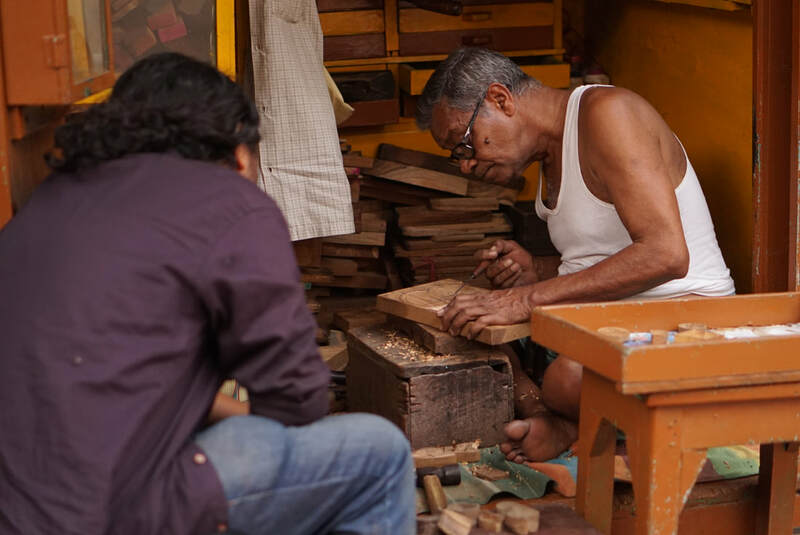 We curate unique experiences at Chitpur's bazaars, craft studios, heritage houses and atmospheric lanes that open up the many secrets, stories and local traditions. Since 2014, Hamdasti has been connecting artists to diverse communities at Chitpur through the Chitpur Local fellowship. This led to several collaborations with local crafts people and cultural centres, including artworks that created new contemporary possibilities for traditional practices, new products, and craft based workshops. As a part of Tales of Chitpur- The Chitpur Local Art Festival, Hamdasti collaborated with the Tourism Department, Govt. of West Bengal organized "Chitpur Reimagined" a workshop on mapping the diverse craft clusters along Chitpur Road facilitated by conservation consultant Kamalika Bose. 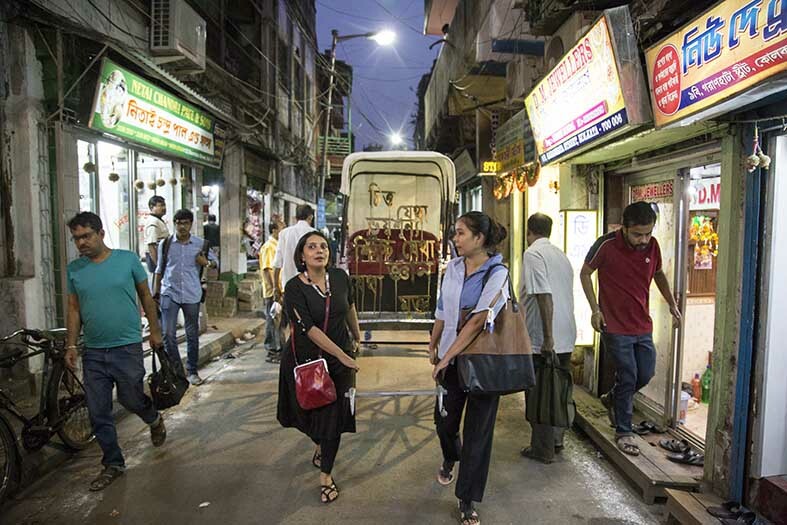 In 2018, we went back to our local craft collaborators, as well as initiated conversations with artists, designers, researchers, local government officials who are invested in Chitpur's diverse cultural practices, to envision a collective action to connect new audiences to this locality. The Chitpur Craft Collective was born out of these conversations and was launched with a 3 day Art Trail in the locality in February 2019.